Peter Opa came to the U.S. to pursue the American dream. He had barely settled down before he started receiving letters from desperately poor people of Ajara asking him to help buy books for them. They were literally begging him. 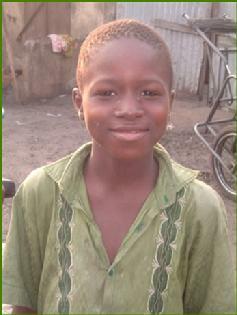 Having grown up in the village of Ajara himself, he understood their desperation. It reminded him of his own school years when many of his friends had to choose between food and books. It also made him think of his classmates who wanted to become doctors and lawyers, but who were forced to drop out of school because their parents couldn’t afford to buy books for them. After buying books for dozens of individuals, Peter got overwhelmed. He realized the best way to help was to help build a library for the community. This would also give good Americans the opportunity to donate books that are just taking up space in their homes, giving to those who need them—a win-win situation. 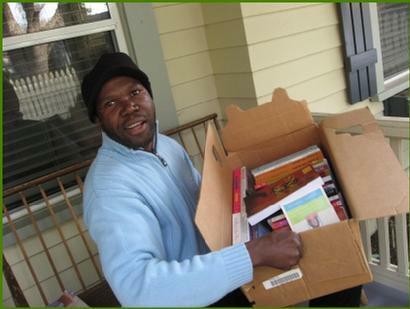 One of our volunteers will come to you to pick up the books you are donating!